The inaugural 935 nautical mile Antigua Bermuda Race started on time with the entire fleet getting away without a hitch today [May 12]. “A light southerly breeze of 10 knots and warm Antiguan sunshine provided perfect conditions. The variety pack of 21 yachts is an eclectic collection, both in terms of crew and craft. From the majestic schooner, Eleonora to the pocket rocket Pogo 12.50s, and just about everything in between,” the race organisers said. “The fleet includes ocean racers; new and old, as well as bluewater cruisers raced by passionate corinthians. 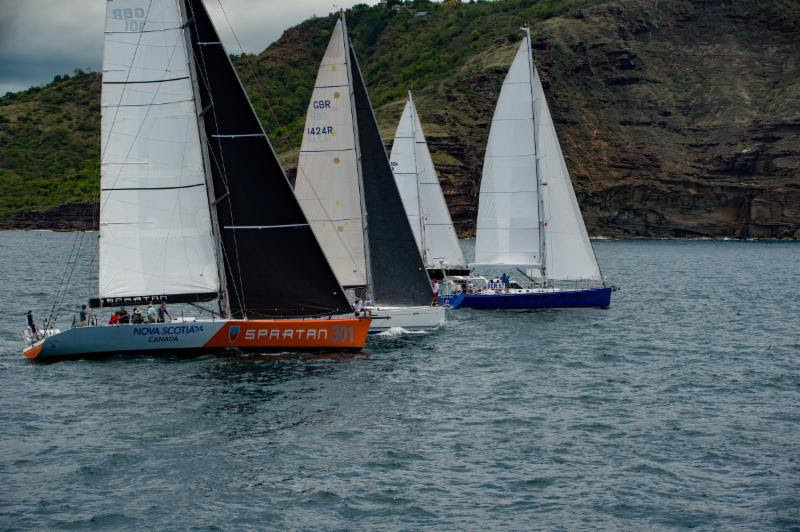 The entire fleet started together and the Antigua Bermuda Race was born. “In the first hour of the race, American Volvo 70, Warrior, skippered by Stephen Murray Jr. had opened up a two mile lead on the chasing Swans, Don Macpherson’s Swan 90, Freya and British Swan 82, Stay Calm. “The breeze then backed to the east putting the fleet on a beam reach. Freya unleashed their gigantic masthead Code Zero to flash past Warrior who had forsaken their Code Zero and J1 to reduce their rating. “Underpowered, Warrior was no match for the additional sail area and waterline length of Freya. Swan 82, Stay Calm was going well and estimated to be leading the race after time correction, for both IRC and CSA, but there is a long way to go. Simon & Nancy De Pietro’s Irish CNB 76, Lilla was revelling in the reaching conditions and also going extremely well. 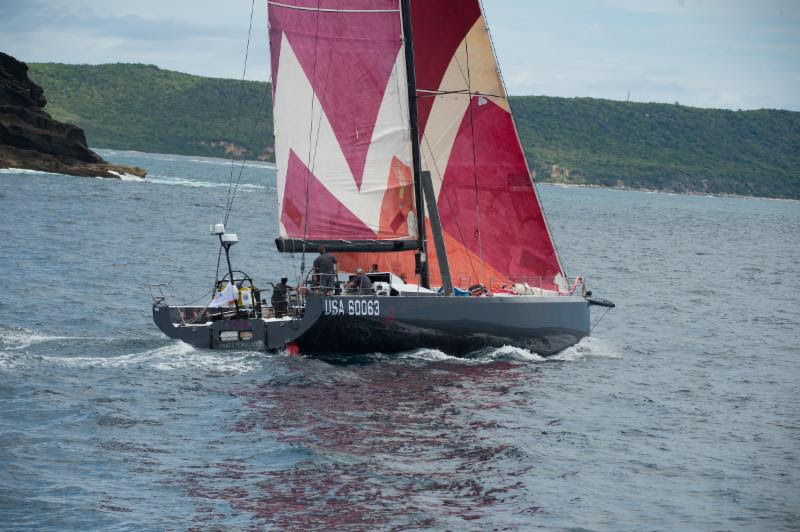 “The lone multihull in the race, the Nigel Irens 78, Allegra was just holding off Freya, 20 miles from Barbuda. It will be interesting to see which side of Barbuda the leaders choose to follow. “As expected the two Canadian Volvo 60s, Chris Stanmore-Major’s Challenger and Gilles Barbot’s Esprit de Corps IV are having their own private battle; locked together as they will be for much of the race. 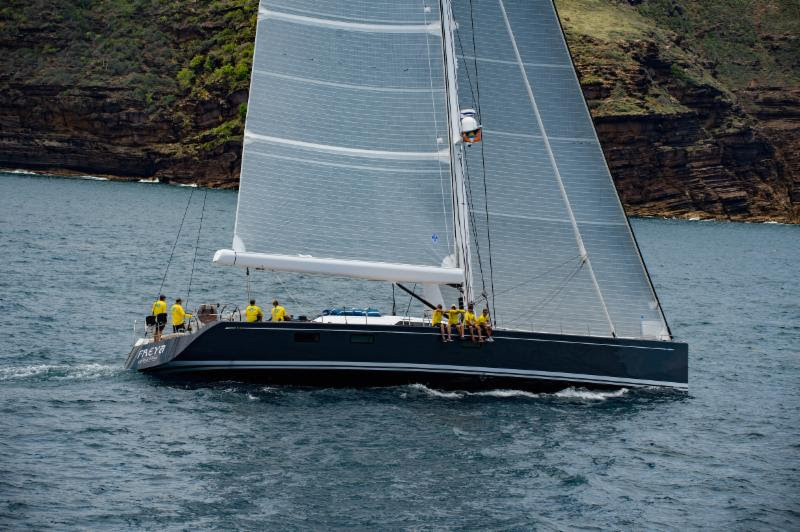 “Five yachts under 50ft are taking part in the Antigua Bermuda Race and American Hanse 43, Avanti, skippered by Jeremi Jablonski has had the best start after time correction. The Swedish Pogo 12.50, Talanta skippered by Mikael Ryking has found an excellent turn of speed. 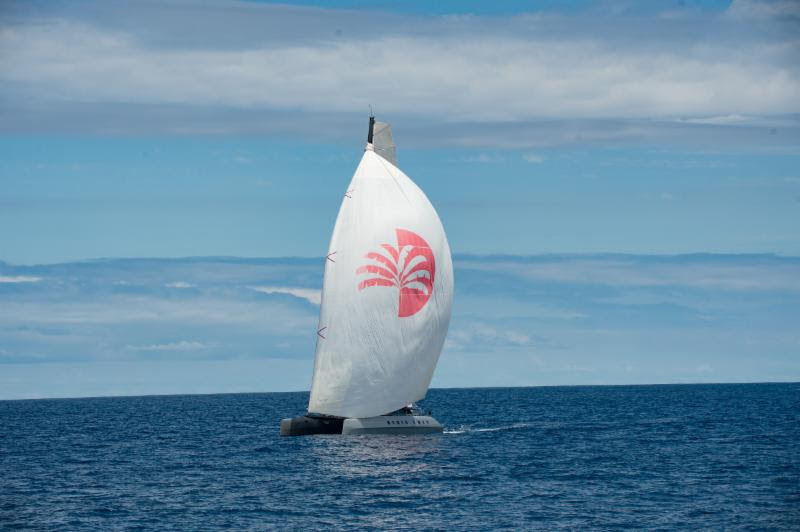 “There is less than a mile separating the four classic yachts in the Antigua Bermuda Race; Carlo Falcone’s Alfred Mylne-designed Mariella played the lifts and shifts along the south shore of Antigua to stay in touch with her bigger rivals. El Oro, Tim Wilson’s Australian 68ft ketch was just a mile behind Mariella and going well.